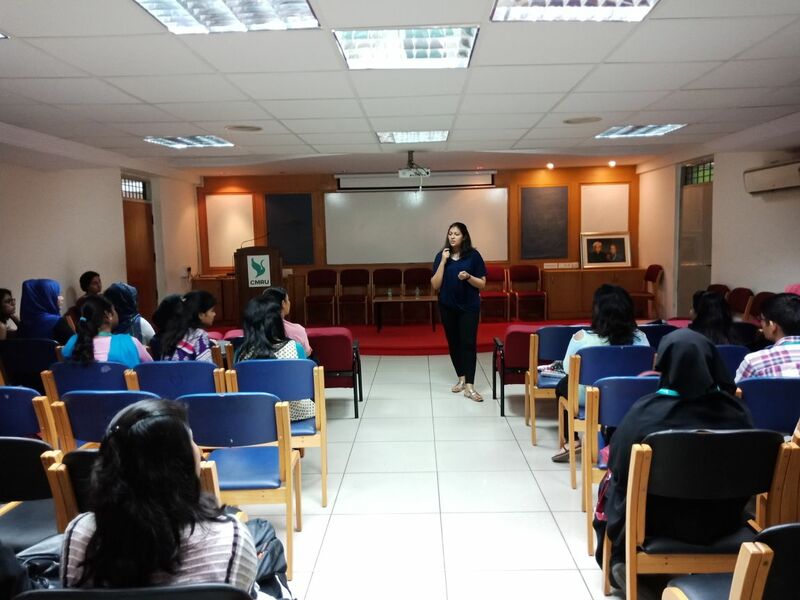 Ms. Natasha Vijay, Senior Program Executive at the ‘Live, Love, Laugh’ Foundation, Indiranagar, Bangalore, visited CMR University for an interactive session with the Postgraduate students of M.Sc (Clinical), M.Sc (HRDM) and MSW. As the courses are practice and people oriented, Ms. Natasha Vijay, having done her Masters in Psychological Counselling and currently working on creating awareness on Mental Health, was able to give our students a clear and realistic picture. Their discussions included challenges in the field, ways to overcome misconceptions and stigma, internships and how experiences can challenge and mould our world view. The students were encouraged to push against their comfort zone and explore different aspects of themselves and their fields to better equip them on a professional and personal basis.